Wow! I feel super sentimental to be in a Sanborns today after so many years! On the one hand there isn’t anything inherently special about Sanborns. The food is above average and they usually have a small store attached with a variety of items. You are usually going to pay top dollar, or in this case top peso for your purchases. What makes it special is all the memories. All the breakfast, lunch and dinner meetings with family, friends and ministry partners. It’s one of the few restaurants that you can find in most major cities in Mexico. I guess, they are kind of like Starbucks in that they are good places to meet and grab a cup of coffee or a meal when you want to meet with somebody. Even though I’ve been in Mexico and Tijuana numerous times now, I’m still getting to know the city. An example of this is that I got lost on my way back home trying to find the Sentri border crossing. 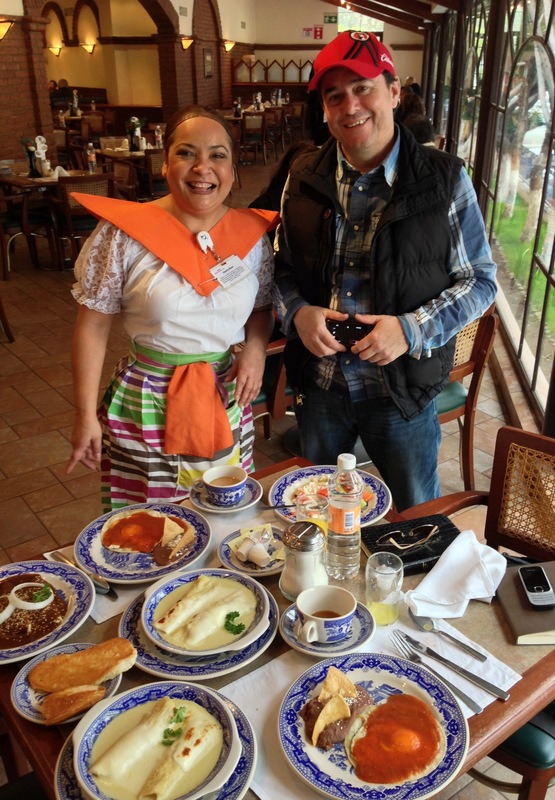 Marcos with our waitress and the spread – a buffet today! Another thing I had yet to do was to visit Sanborns. It brings back a flood of memories. I’m very content with where the Lord has us now, but that’s not to say I don’t miss some of the friends and things I had in Mexico City. 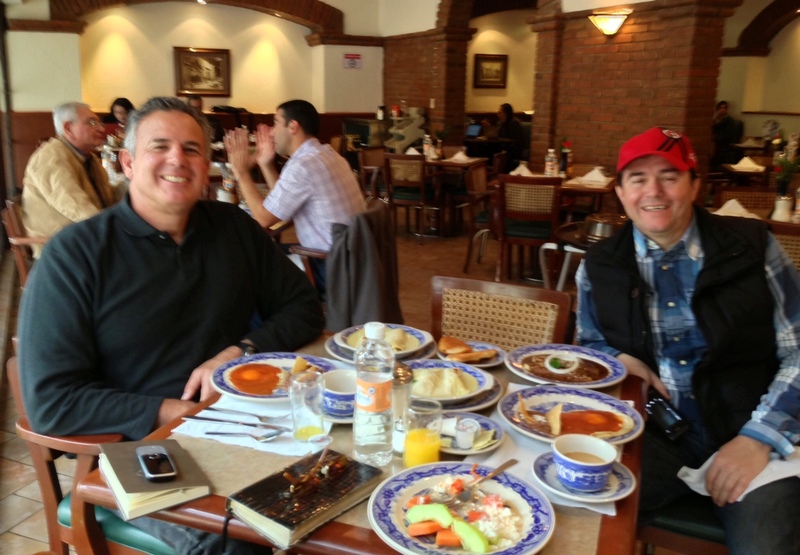 The Lord blessed my time in Sanborns today, apart from my sentimental experience I met with pastor Marcos Gomez. Marcos is a relatively new friend. He is one of the pastor’s from Lo Mejor Del Trigo. It was great to get to know him better, and to talk about his ministry needs. We pray that the Lord will bless and grown his church! Thanks we always appreciate prayer and we are encouraged by how the Lord responds! Taking Jesus to the Streets: God Opens Doors! More Good News Out of Mexico!